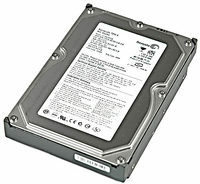 Seagate - ST3400832A SEAGATE - BARRACUDA 400GB 7200 RPM EIDE/IDE PATA HARD DISK DRIVE. 8MB BUFFER DMA/ATA-100(ULTRA) 3.5 INCH LOW PROFILE(1.0 INCH)(ST3400832A). IN STOCK. SHIP SAME DAY. Western Digital - WD4000AAKB WESTERN DIGITAL - CAVIAR SE 400GB 7200RPM ATA-IDE/EIDE HARD DISK DRIVE. 16MB BUFFER 3.5 INCH LOW PROFILE(1.0 INCH). WD4000AAKB IN STOCK.SHIP SAME DAY.